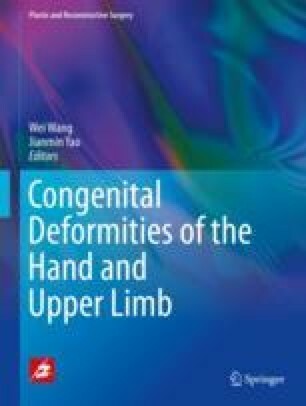 The pediatric patients and parents must have enough psychological preparations before considering adopting microsurgical techniques to repair hand congenital deformities. For the parents, their child has lost one hand or one pair of perfect hands; if they consider undergoing toe transplantation or using free flaps to repair the deformed hand, the pediatric patient will lose the complete toes or other histological structures, and new injuries will arise; in the meantime, the surgeons cannot guarantee that the microsurgery is bound to succeed; therefore, the parents always have many concerns and are under great pressure, which will unconsciously influence the surgeons; under this circumstance, many surgeons will passively select microsurgery. Therefore, for the surgeons, pediatric patients (if possible), and their parents, before the microsurgery, an in-depth discussion will be conducted on various conditions before the surgery, during the surgery, and after the surgery; the child’s family will be asked to make the final choice and the surgeons will respect this choice, which is very important.